***AFFORDABLE LIVING WITH THIS 3 BEDROOM HOME. LIVING ROOM, SEPARATE DINING AREA SHOWCASING A STAIRCASE LEADING INTO 2ND LEVEL BEDROOMS. GOOD SIZED KITCHEN. BATHS ON 1ST & 2ND LEVEL. ENCLOSED PORCH. 2 CAR GARAGE. 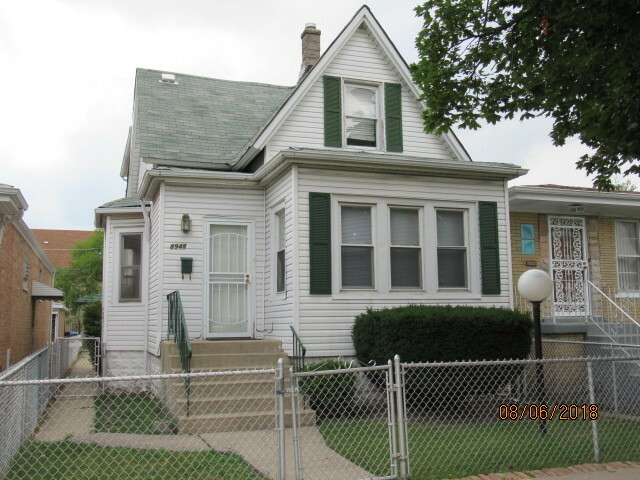 CLOSE TO EXPRESSWAY (I -57 )&( 1-90/94), A SHORT DRIVE TO SHOPPING CENTERS ON 87TH & 83RD ST. Will not go standard FHA.....Rehab Loans, FHA 203K or Cash Only. **No Furnace & Water Heater.